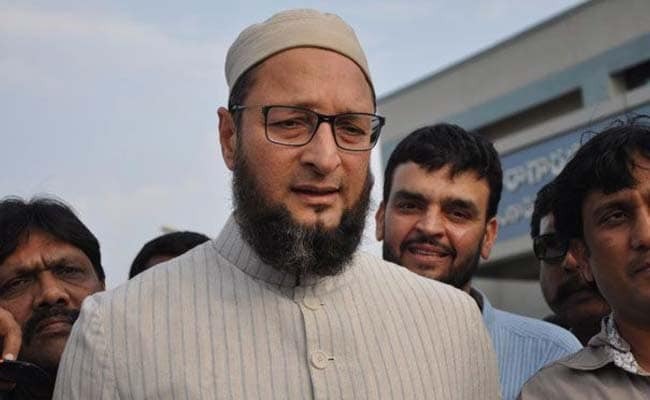 Hyderabad lawmaker Asaduddin Owaisi, criticised for his "beef biryani" comments targeting Prime Minister Narendra Modi over Pulwama, has repeated his offensive, this time using Gujarat-favourite "Dhokla". Asaduddin Owaisi, the chief of the AIMIM or All India Majlis-e-Ittehad-ul-Muslimeen, has hit out at PM Modi's #VoteKar campaign on social media to increase voter participation in next month's national election. "I request everyone to cast vote for AIMIM and increase the voting percentage," he said in Hyderabad on Monday. Over the weekend, PM Modi took to Twitter tagging celebrities, sportspersons and people from various fields, asking them to encourage people to vote. The PM put out 16 tweets in half an hour, using the hashtag #VoteKar. "Two days ago, I said that in Pulwama a suicide bomber attacked our forces, will PM Modi take responsibility? I said was he sleeping after eating beef biryani. On social media, PM's followers are saying that he doesn't eat non-veg. I don't know if he eats veg or non-veg. Now I will say that he slept after eating dokla, idli or vegetable biryani," Mr Owaisi said. Ridiculing the T-shirts and other merchandise released by the BJP, the AIMIM chief said, "All businessmen are feeling harassed with GST and he (PM Modi) is selling T-shirts...kya Chowkidar hai... Jet Airways has sunk and Chowkidar is forcing banks give Rs. 1500 crore to the airline...In the name of 'Make in India' thousands of factories are being shut down... can loans not be given to them?" In a sharp attack at the PM over the Jet Airways crisis, Mr Owaisi said, "You can't give Rs. 1,500 crore just like that because it is public money. Is this your baap ki jagir (father's property)." he said. The Hyderabad lawmaker also targeted Uttar Pradesh Chief Minister Yogi Adityanath for calling Congress candidate Imran Masood a relative of Pakistani terrorist Masood Azhar. At a rally in UP on Sunday, Yogi Adityanath had linked the Congress candidate to terror group Jaish-e-Mohammed's chief Masood Azhar. The Narendra Modi government has been criticised by several opposition leaders after the February 14 Pulwama attack, in which 40 soldiers were killed, and the retaliatory Balakot air strike. Key opposition leaders like Rahul Gandhi, Akhilesh Yadav, Mayawati and Mamata Banerjee have raised questions on the impact of the strike.